Hydration is a very important aspect to be considered when it comes to properly maintaining one’s health. However, hydration needs vary between individuals, and it also depends on how strenuous an activity really is. For most athletes, they often stumble upon the question of which fluid must be taken after their long and tiring sports activities. Is water or Gatorade better? Although both water and Gatorade are thirst quenchers, these two drinks are meant to replace the lost fluids of an individual. In the case of regular water, it serves as a generic medium of transporting nutrients, and even waste elements, inside the human body. It keeps the internal mechanism of the body in balance. That’s why it is recommended to drink water before, during, and after regular physical activities to maintain this balance. 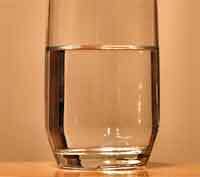 At least eight full glasses of water is recommended for drinking everyday. This standard often increases depending on the hotness of the environment, and the activities engaged by the individual. One must simply make sure to drink lots of water so as not to feel thirsty or have a dark colored concentrated urine (an indication of poor hydration). Gatorade, on the other hand, is one of those power beverages that are regarded as ‘sports drinks’. Unlike regular water, Gatorade is filled with electrolytes like potassium and sodium that will be used to replace all those natural electrolytes lost in the body after profuse sweating during a tiring physical activity. The sodium in Gatorade (being a water lover), also helps the body retain fluids. It also has more carbohydrates that act as a source of energy. These carbohydrates are responsible for replenishing glycogen when it is exhausted. Hence, Gatorade obviously contains more calories. In terms of application, Gatorade is highly recommended for those who are involved in high intensity activities, together with drinking water. High intensity means that the activity is going to span for a longer duration of time, doing physical activities in hot or warm temperatures, and performing vigorous physical routines. Water is simply the fluid of choice for non-strenuous activities. 1. Water is obviously a lot cheaper compared to power drinks such as Gatorade. 2. Water is best for regular physical activities, while Gatorade is suited for high intensity activities. 3. Gatorade has more carbohydrates (calories), and also contains electrolytes. Julita. "Difference Between Water and Gatorade." DifferenceBetween.net. March 18, 2010 < http://www.differencebetween.net/object/comparisons-of-food-items/difference-between-water-and-gatorade/ >.